It’s that time of year! 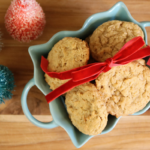 Join me as I make Peanut Butter Oatmeal Cookies for a virtual cookie exchange with some of my blogging friends! We teamed up to bring you 12 yummy cookie recipes just in time for all the cookie exchange parties coming up. I chose these Peanut Butter Oatmeal cookies because my family loves them. I always make this huge batch and it rarely lasts more than a day or two! How can you go wrong when you combine peanut butter cookies and oatmeal cookies into one glorious combination?!? You can’t. They are the best! 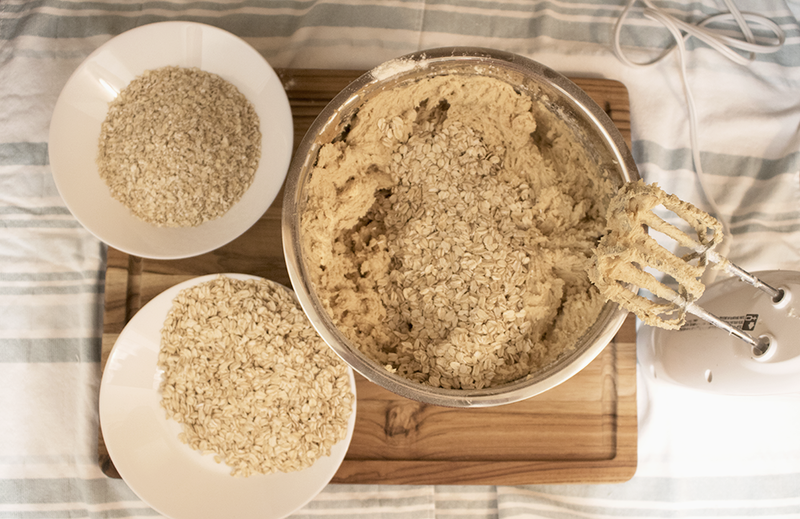 Let’s jump in and get these Peanut Butter Oatmeal cookies going! First we need to gather all the ingredients. 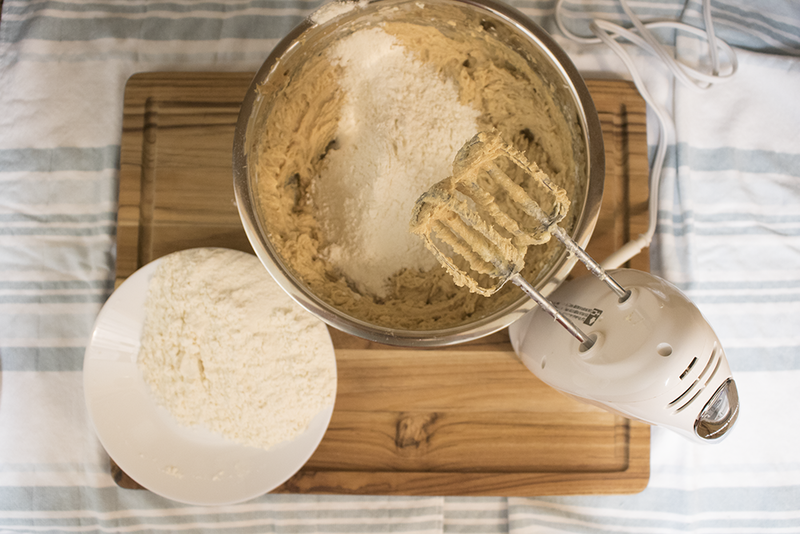 You’ll need butter, peanut butter, baking powder, baking soda, sugar, brown sugar, vanilla, eggs, flour, old fashioned oats, and quick oats. 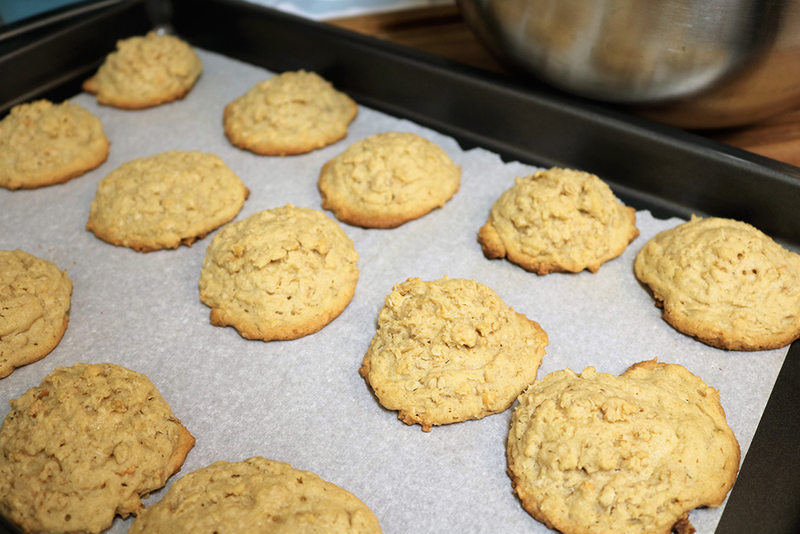 Prep the cookie sheets with parchment paper and turn on the oven to 375 degrees Fahrenheit. 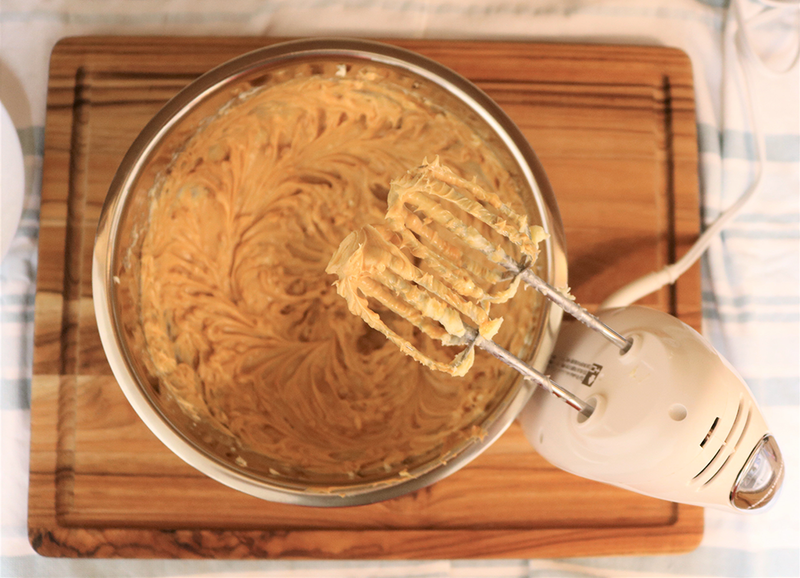 Mix the soft butter with an electric mixer until smooth. Add in the peanut butter and mix it again. Continue by adding the sugar, brown sugar, baking powder, and baking soda. Now on to the flour! Mix in the flour a bit at a time until it is well combined. Next, add the old fashioned oats a bit at a time until they are well incorporated. 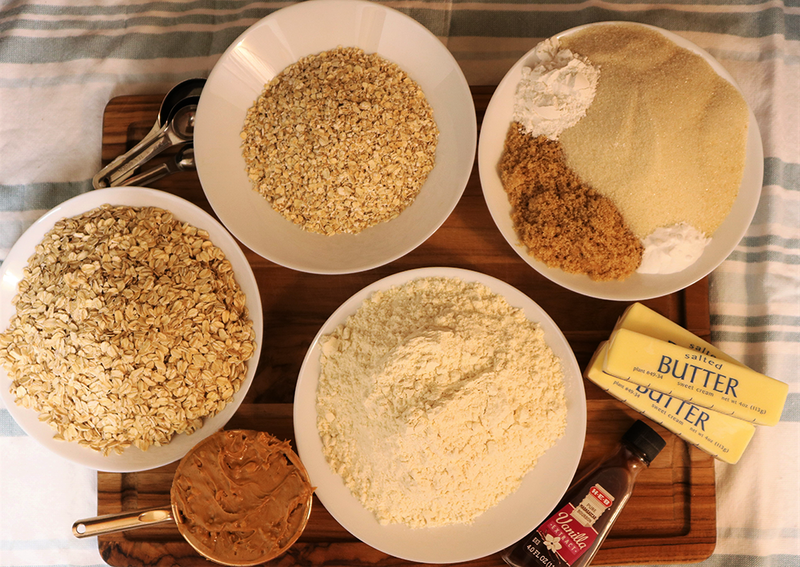 Finish up by adding in the quick oats to your mixture. Once you have finished mixing it’s time to scoop! Use your cookie scoop to drop the dough onto the cookie sheet in rows of three deep and five across. Be sure to give your cookies room to spread out a bit. You want to make sure you don’t wind up with bars instead of cookies. Bake for 10-12 minutes. The bottom and edges of the cookies should be a beautiful golden brown. Remove from the oven and let them sit on the cookie sheet for about 2 minutes. Transfer the cookies to a wire rack to finish cooling. Do not be surprised if some of the cookies disappear before they are cooled. It’s totally normal to have hands grabbing these as soon as they are out of the oven. 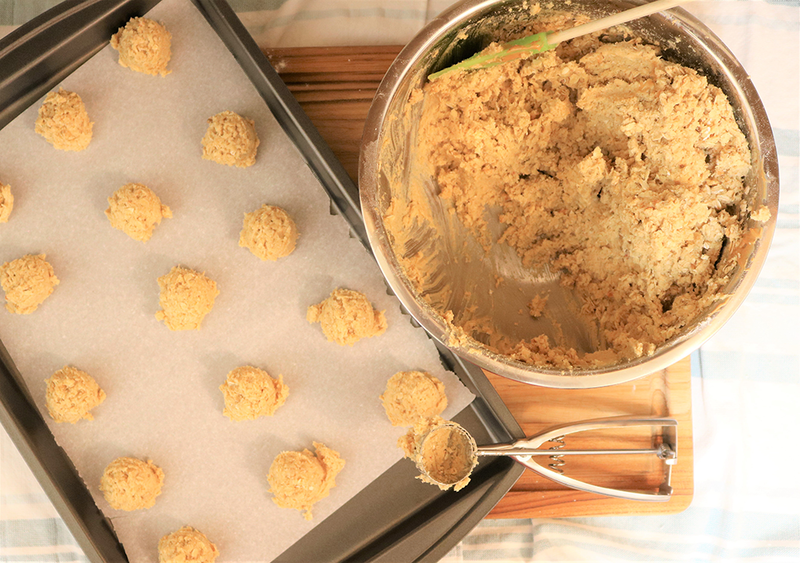 Now if you don’t want to make the entire batch at once you can freeze these into cookie dough balls. 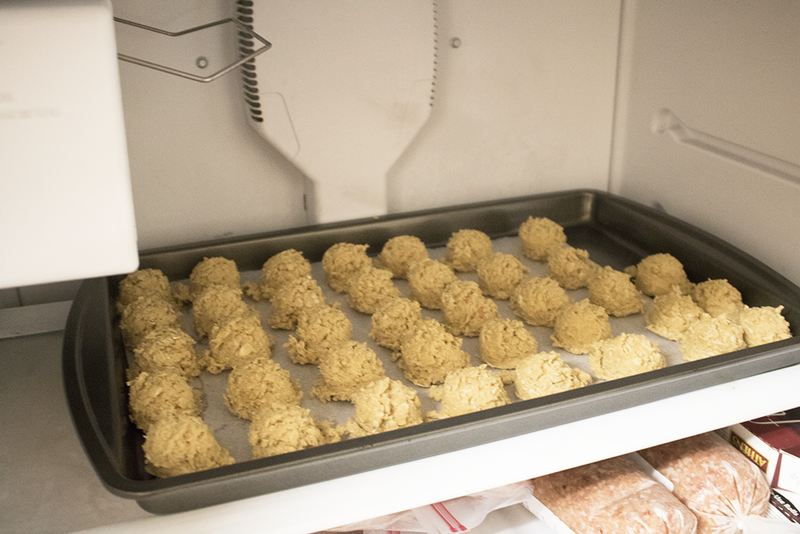 Place a cookie sheet of the dough balls into the freezer. Leave until solid, then transfer into a bag or freezer safe container. They will last for a couple of months, but I doubt you’ll have them that long. Once you’ve got all of your cookies made you can get to the fun part! Time to wrap up some cookies for friends and family! You don’t need to be fancy, a simple plate and a velvet bow show you care and look beautiful! These family favorites are perfect for gift giving! 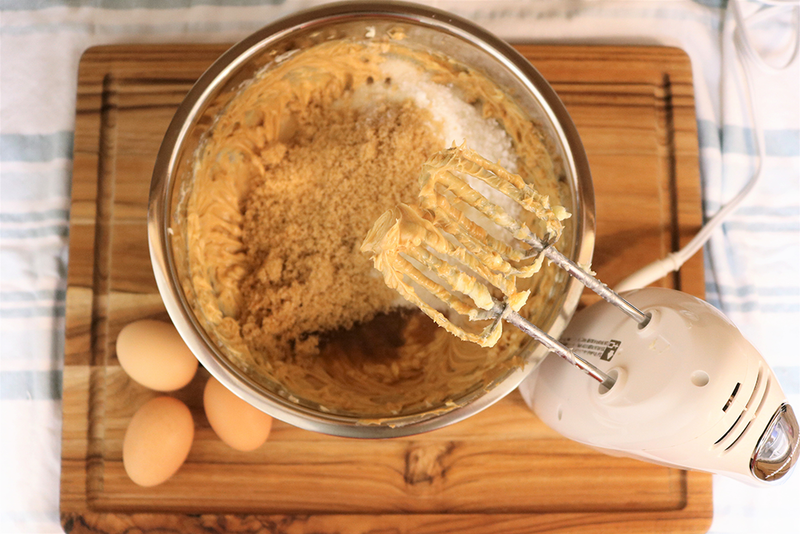 Mix butter, peanut butter, brown sugar, sugar, baking soda, baking powder, vanilla, and eggs until fluffy. Bake at 375 degrees Fahrenheit for 10-12 minutes until the bottoms and edges are golden brown. Go check out some more delicious cookie recipes! 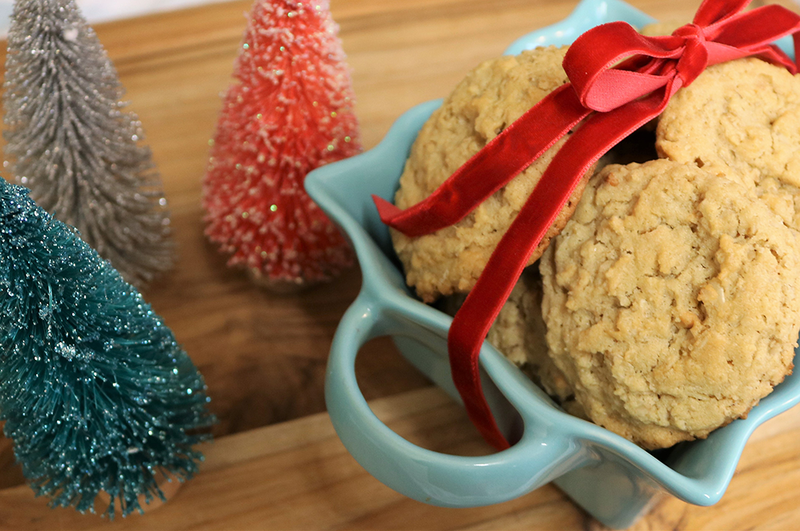 Come back on Tuesday for the next round of cookie recipes! 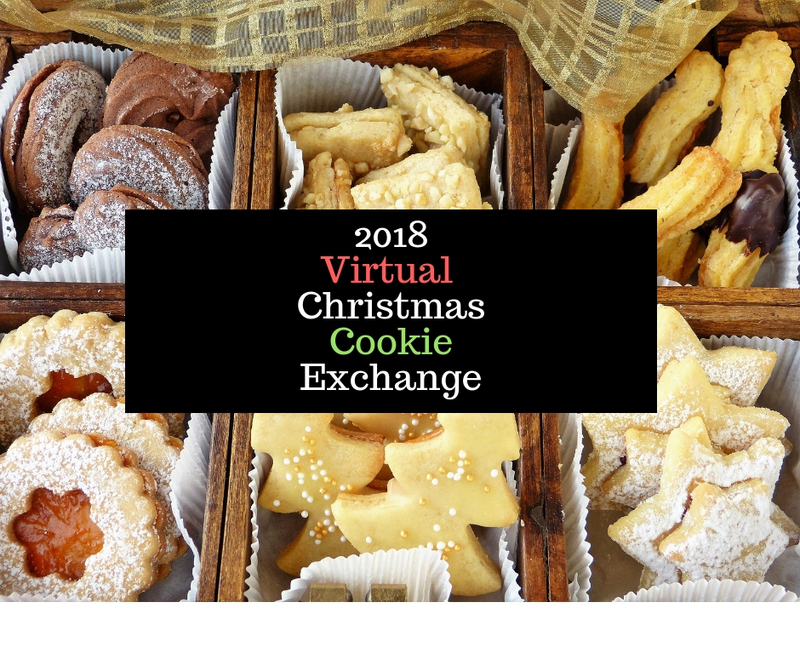 I hope you have fun meeting some of my blogging friends and baking some amazing cookies! If you’re looking for other Christmas gift ideas head over to the shop! Beautiful! Can’t wait to try them! These look delicious and the recipe is perfect for the holiday cookie giving Im planning on. I cant wait to try them. Let me know how you guys like them! Thank you! I hope you love them too! Pingback: The best sugar cookie recipe. Buttery, soft and perfect for any occasion! Yum! I love peanut butter! This recipe will be dangerous for me since I almost always have all the ingredients on hand to make these! Thank you for sharing!! I feel you! Thankfully I have teenagers that east most of them! 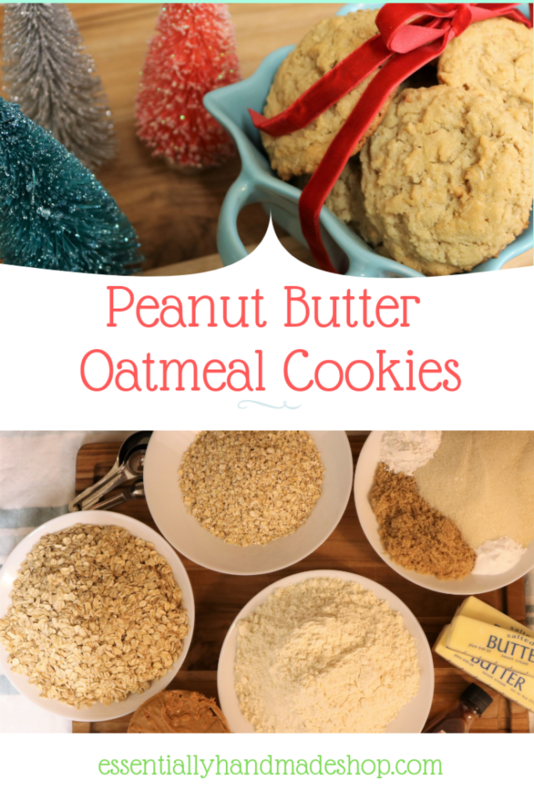 I love peanut butter and I love oatmeal, so I am going to love these! Pingback: Molasses Cookies - Farmhouse Basic Collection.